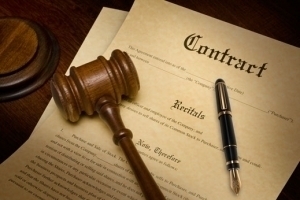 Legal advice on contract of agency in Italy. The obligations of the Agent under the Italian Law. According to Italian Civil Code, the agent must protect the principal's interests and he shall act dutifully and in good faith. In particular, he shall fulfill the job in accordance with the principal's instructions and give to the principal all information about market conditions in his area and any other useful information to assess the convenience of the individual business. Any contrary agreement is void. The autonomy of the agent refers to the choice of the customers and the organization of his activities, but this autonomy meets its limit in the obligation of the agent to observe, in addition to the standards of fairness and professional loyalty, all instructions received by the principal. This is the main obligation of the agent, because it expressly imposed by law. In the performance of the agency contract, the agent must act in good faith and with due care required by the nature of the business. He can not limit the performance in order to the proportionality of the commission to the business promoted, because his activity must be quantitatively and qualitatively normal and he needs to standardize his behavior to the mentioned obligations. Otherwise, his behavior may be invoked by the principal as a cause for termination of contract. The agent who is unable to perform the task entrusted to him must give immediate notice to the principal. Otherwise he will be obliged to pay damages. Contract Law in Italy: termination of the contract for non-performance and the notice to comply. Special court for foreign companies in Italy.